Ideal for the home gym, the 503T treadmill from HealthTrainer features a powerful, continuous duty 2.0 horsepower motor with speed capability of 0.6 to 10 miles per hour for both walking and jogging. 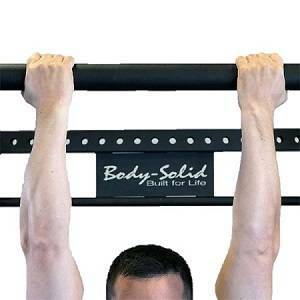 An automatic 0-10% incline and multiple workout programs will accommodate all skill levels. Nine programs will keep your workout challenging with six custom and three preset programs, so you can be sure you'll have a varied and personalized workout every time you exercise. Additional convenient and practical features of the 503T include an easy-to-read four-window LCD display which allows you to keep track of your speed, time, distance, and calories burned, and EKG grip pulse monitors for heart rate metrics while exercising. Remote handlebar controls allow you to easily to modify your routine without interrupting your momentum. 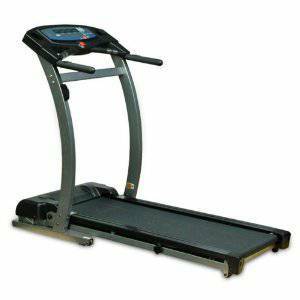 This treadmill also features a generously sized walking and running belt surface area measuring 18 by 51 inches and conveniently folds for storage when not in use. Fold-up design is ideal for storage Track your key workout metrics with the 503T's four-window LCD display.